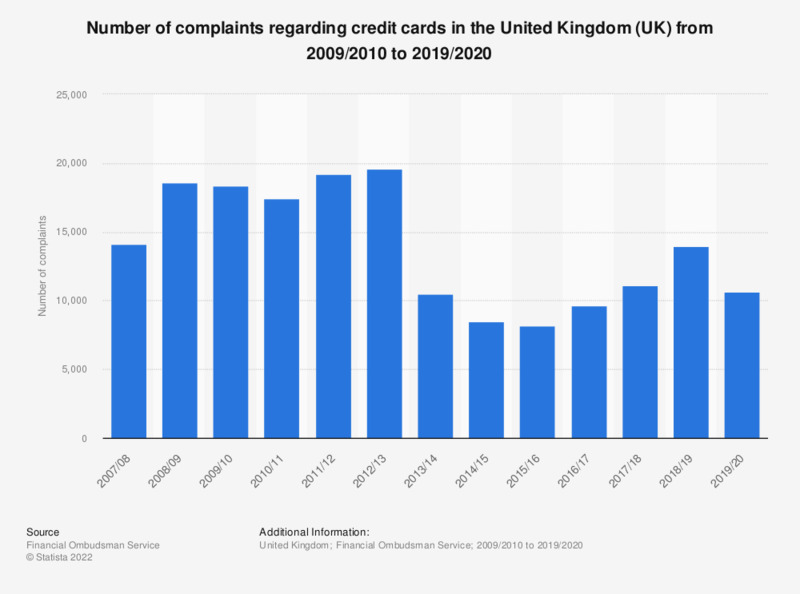 This statistic illustrates the number of customer complaints to the Financial Ombudsman regarding credit card products and services in the United Kingdom (UK) between the financial years of 2009/2010 to 2017/2018. It can be seen that in 2017/2018, over 11 thousand new credit card-related complaints were filed in the UK. This was an increase compared to the previous year, when more than 9.6 thousand new complaints were lodged.